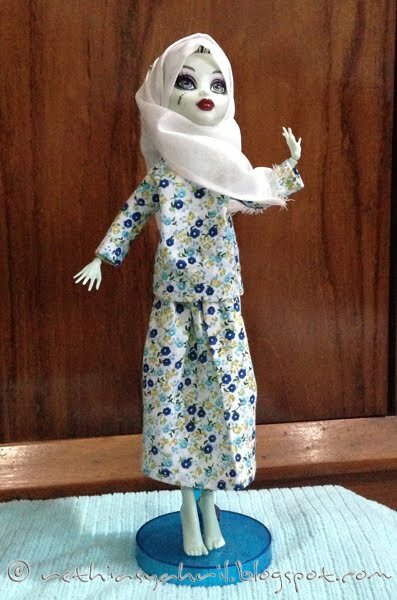 Another dress that ordered for Frankie Stein from Monster High Doll collection is a muslimah dress complete with th hijab. So here I am making one for Frankie Stein. 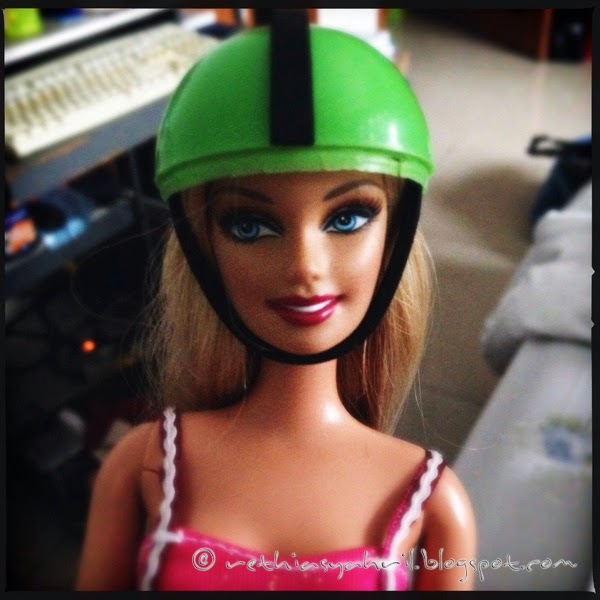 My friend's daughter saw a barbie doll that given to me by another friend. She asked why my friend is giving the doll to me. 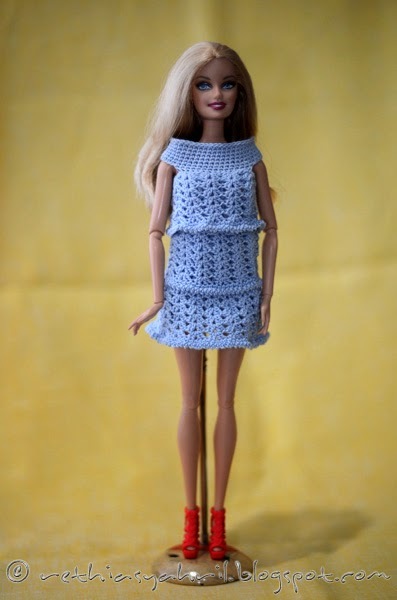 My friend told her that I need this doll to be a mannequin for doll clothes I made. And she ask me whether I can make clothes for her Monster High Doll. And I said, I can make it but she has to lent me the doll because I don't have the doll. So here I am doing the new project. 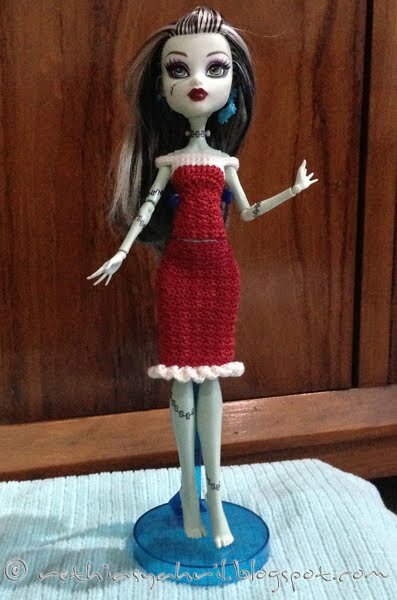 I am not a fans of monster high dolls, but sure I can make one or two dresses for Frankie Stein. 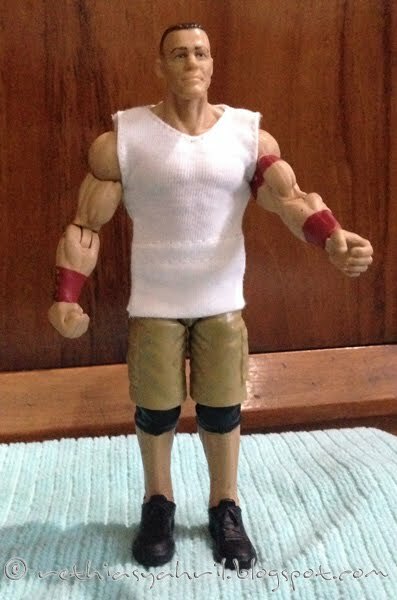 I got a challenge to make John Cena's doll clothes from my friend children. 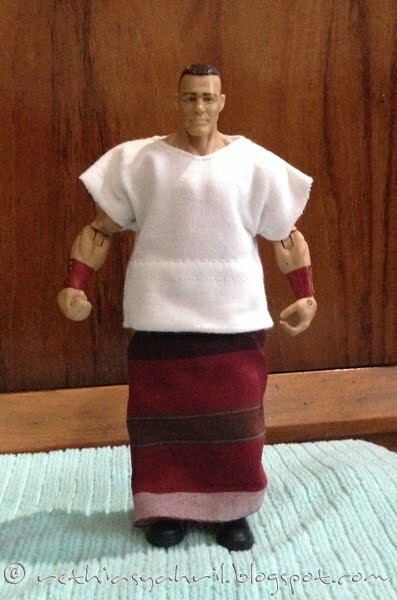 So I create 3 pieces of clothes, one T-shirt, one sleeveless shirt and a sarong. I got this inspiration from here and with different size crochet needle, it turn out into different long of dress. My dress a little bit hard to push up, it a little bit to tight around the hips. But still, this is a pretty dress and I like it. A niece of mine was born last November. So she's getting bigger everyday and her little socks didn't fit anymore. After I got permission to turn the socks into barbie dresses I start to use my imagination and browse some video in youtube. And...this is how I turn a pair of socks into, little pink dresses. You can use zigzag stitch to prevent it from fraying. I haven't done mine. Copyright by Rethia Syahril. Powered by Blogger.